The 1804 Silver dollar has been called "The King of Coins". There are only fifteen known and none were made in 1804, but were struck decades later at the U.S. Mint for private collectors. Because of this rarity, these sell for millions of dollars when they come to auction. Mark Ferguson (http://1804Dollar.com) has written a new book about how these were made. He says it will reveal newly discovered facts about these coins. 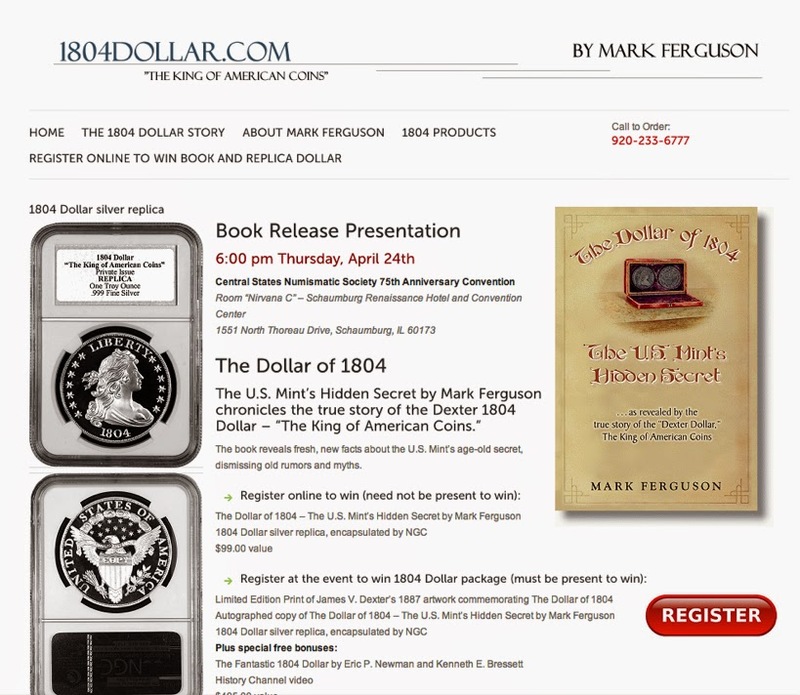 There is also a drawing to win a copy of the book and an NGC encapsulated 1804 dollar replica. You can register for that at the website or just send email.